DEARBORN, Michigan – Fuego Mexican Grill is a new edition to the Dearborn community having been in business for eight months now. They are inconspicuously placed within a strip mall on Schaefer Road near the Warren intersection but parking was ample and the exterior and interior décor is simply beautiful with clean lines and bold colors. The service was excellent from the moment we walked in the door. It’s important to point out that this is not your usual Mexican fare. In fact, it’s better. From the moment they bring the complimentary chips and salsa to the table, it is clear that you’re in for an adventure. The chips are seasoned and fried to perfection. The salsa is offered hot and mild and both are fresh and flavorful. The Chicken Milanesa, a Mexican style, grilled, submarine sandwich was especially good topped with melted cheese, lettuce, tomato and finished with a balsamic reduction that you can get on the side so that you can easily take the leftovers home for later as the portions are generous. The sandwich was served with Fuego Grill Papas, bite-sized, cubed potatoes seasoned with sazon (a type of seasoned salt) that complimented our lunch beautifully. The Tacos Al Carbon which included steak cooked over an open grill is accompanied by pico de gallo and any 2 sides of your choosing so your meal can be a different experience time after time. The sides included refried beans, black beans, grilled veggies, slaw, guacamole, queso, sour cream, and extra cheese. The “classic cravings” are also indulged with more traditional tacos, burritos, tostadas, quesadillas and enchiladas all gracing the menu. However, there were also some surprises for a Mexican restaurant. First being the menu is halal. Second are a few unusual items like Fuego Grill hummus, a new twist on the Mediterranean classic with a zesty blend of roasted peppers and that yummy Fuego Sazon again. 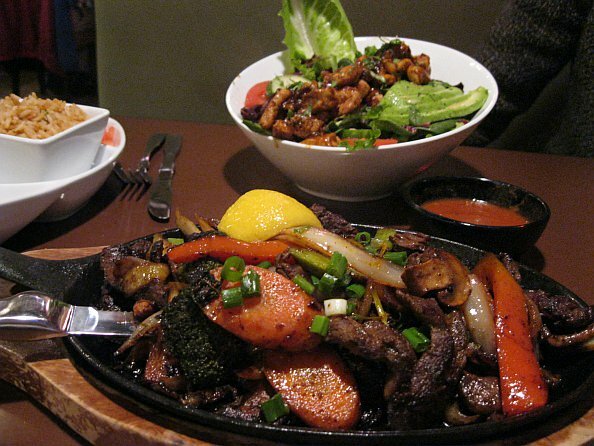 Third and most important for us was the freshness of the food. It was not packed with grease but felt much lighter than the usual Mexican fare we have become accustomed to. The prices are affordable with combo meals available for $4.99 and full meal lunches/dinners up to $12.99. The hours of operation cater to the night owl and are Monday thru Thursday from 11 am until midnight, Friday from 11 am until 2 am, Saturday 2 pm until 2 am and Sunday 4 pm until midnight. 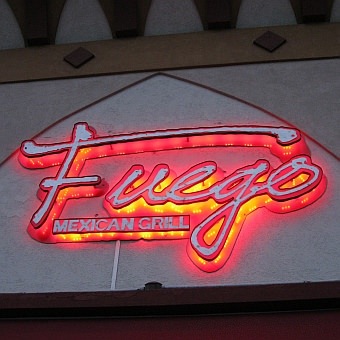 We were more than impressed by Fuego Mexican Grill and we know you will be to. We warmly welcome them to the neighborhood and wish them many years of success.